See where the canons of the Union Army were built. See where immigrants from Ireland built their first church, worked the foundry, and created a school for their children. See the scenic Hudson River. Foundry Dock Park: This riverfront park, a perfect spot to marvel at the Hudson Highlands, was the busy loading dock of the West Point Foundry. Located just southeast of here, the West Point Foundry was established to produce artillery for the U.S. government. Finished goods were transported by rail to a pier stretching into the river off Foundry Dock Park (you can see a portion of its remains at low tide) and then shipped worldwide. Chapel of Our Lady Restoration: Originally known as Chapel of Our Lady, The Chapel Restoration, was originally built in 1833, in the Greek Revival style to serve Catholic workers of the Foundry. Abandoned in 1906, it was a charred, weather‑ravaged ruin until its restoration in the 1970s. It is listed on the National Register of Historic Places. West Point Foundry Preserve: Established in 1818 to supply the U.S. government with artillery, the ironworks employed hundreds of workers who produced some of America’s first steam engines, locomotives and ironclad ships, as well as pipes for New York City’s water system and Parrott guns, cannon credited with winning the Civil War. 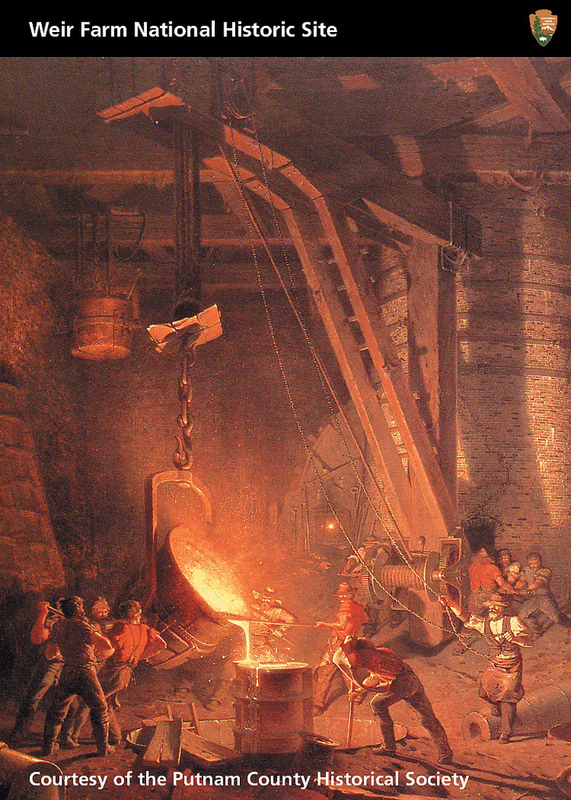 The foundry’s owners also were business pioneers, among the first to control every aspect of manufacturing, from raw material to product distribution. The preserve trails follow old rail beds and pass extensive remains of the casting house, boring mill and other essential foundry structures that led to the preserve’s inclusion on the National Register of Historic Places. Exciting new interpretive features including a full‑scale sculptural model of the 36‑foot water wheel that powered the boring mill tell the story of the 87‑acre site’s contributions to America’s Industrial Revolution and the Civil War, as well as the cleanup leading to its astonishing ecological renewal. St. Mary in the Highlands Church: Completed in 1868 St. Mary’s was the collective gift of Robert Parker Parrott, Gouverneur Kemble, Gouverneur Paulding and Frederick Plummer James and was built largely with profits made by the foundry during the Civil War. A marble tablet at the rear of the nave has the names of Parrott, Kemble and Mary Kemble, Parrott’s wife. Putnam History Museum: The PHM has been collecting, preserving and interpreting the artifacts of history of Philipstown, the Hudson Highlands and the West Point Foundry for over 100 years. The West Point Foundry Gallery features John Fergeson Weir’s painting The Gun Foundry as well as a newly restored Model 1863 10‑pounder Parrott Rifle and other items cast at the foundry. Are reservations needed for the Cold Spring trip? if so, how are reservations made? Yes. We will need to have a count just in case there are too many. Also for the lunch reservation. The formal notice will appear in the next newsletter but in the meantime if you want to reserve with me that is fine.